This entry was posted on November 24, 2014 by snoeberry. 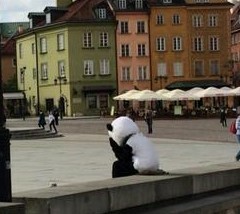 It was filed under wild animals, Work and was tagged with dating, Old Town, sad panda, warsaw. poland.